(Natural News) Brain-derived neurotrophic factor (BDNF) encourages the growth of new brain cells while also helping to preserve existing cells. There are many natural ways to raise the levels of this important protein, an article in Be Brain Fit stated. First, avoid factors that lower BDNF levels. Some of these, such as brain-related mental conditions, stress, or age, are not alterable. For example, if your mother was stressed when she was carrying you in her womb, chances are that you have low levels of BDNF, to begin with. 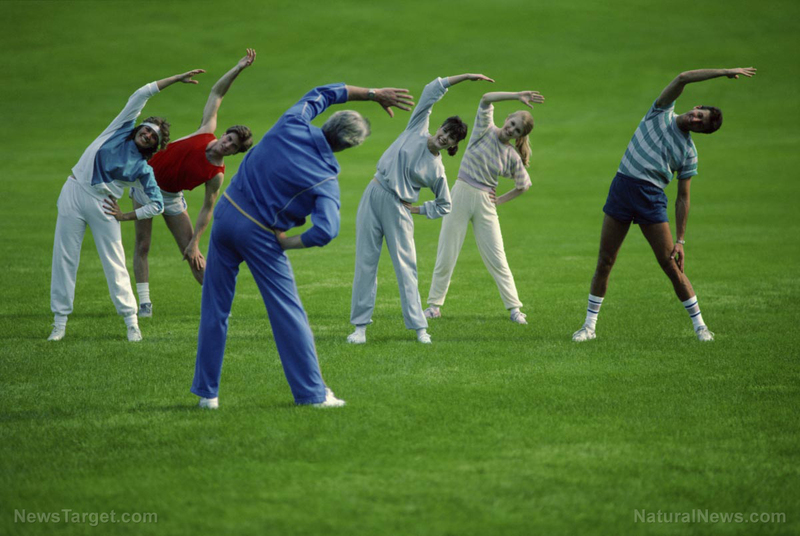 Now, the best way to boost BDNF levels is to engage in regular physical exercise. Dr. John Ratey of Harvard Medical School recommends spending at least 10 minutes on aerobic exercise. He also recommends switching from one type of exercise to another, such as biking, running, and swimming. Dr. Ratey highly suggests sprinting as fast as you can for 30-40 seconds, slowing down for five minutes, and sprinting again until you achieve five such bursts. You can also try dancing, high-impact running, resistance training, and yoga. Not everyone has the drive, energy, or time to exercise. You can instead change your lifestyle and engage in activities that promote BDNF production. Spend some time outdoors in plenty of sunshine. Sunbathing does not just increase vitamin D, it also boosts BDNF. Likewise, listen to music that improves your mood. Your favorite album or soundtrack will be able to sharpen your mind. Also, spend time with the people you care about. Whether family or friends, enjoying their company helps your BDNF levels recover. This is especially important for the elderly. When it comes to food, adopt a Mediterranean diet. Eat fresh fruits, legumes, vegetables, nuts, poultry, seafood, and whole grains before washing them down with some red wine. You can also try the high-fat, low-carb ketogenic diet. It is a much tougher one to adhere to. While either diet is good, remember to eat just the right amount of food. Restricting your calorie intake also improves BDNF. And while you are chewing on that thought, the act of chewing food is also good for synthesizing BDNF. So skip the juices and smoothies; instead, sink your teeth into something solid. Eat foods that are rich in flavonoids, such as blueberries, chokeberries, chocolate, green tea, and olive oil. Flavor any meal with black pepper and turmeric. Also consume prebiotic foods like asparagus, bamboo shoots, bananas, barley, chocolate, leeks, garlic, jicama, lentils, mustard greens, onions, and tomatoes. The fibers in these foods encourage the growth of beneficial probiotic bacteria, which improve BDNF production. While there is no pill or supplement that directly gives BDNF, there are many that improve its production. Asian ginseng, cordyceps mushrooms, Gotu Kola, coffee fruit extract, curcumin, and quercetin are some of the herbal and plant-based supplements that can encourage the synthesis of the protein. DHA and omega-3 essential fatty acids, l-theanine, niacin, magnesium, taurine, and moderate amounts of zinc are nutrients that accomplish the same. Their probiotic supplement equivalent is Lactobacillus plantarum. In conclusion, raising and maintaining your BDNF levels is as easy as exercising, eating right, and enjoying yourself. Doing so will help protect your brain from the degenerative effects of aging and other brain-related problems.